UPDATE: Facebook has now given us the ability to delete custom conversions however you can still only have 20 custom conversions at a time. 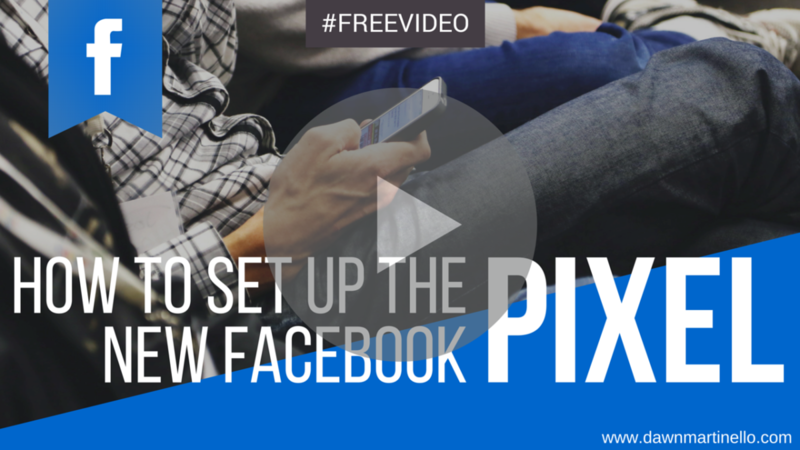 Facebook is a beast and with this little video in your corner, you can make quick work out of this whole new Facebook Pixel and have it up and running in under 10 minutes. A couple of nights ago, I decided that I would tackle this pixel and pop it onto my site. That was the easy part. The hard part came when I was trying to figure out how to track individual conversions on my ads from Facebook. Google to the rescue. Except I ended up tearing my hear out instead. I stuffed my face with a half bag of popcorn and 2 cans of Rolling Rock before I gave up for the night. There didn’t seem to be any clear, succinct information on exactly what I wanted to do and it left me feeling more confused than ever. This morning, I was on my twice weekly call with my client and brought up my night. Lucky for me (and now you!) we recently hired a rockstar Facebook Ads person during her last launch to not only set up our ads, but also teach us a little more about this new pixel. As soon as I hung up from her, I went straight for the Ads Manager and had the custom conversion completely figured out in only a few seconds. While I was there, I recorded a video so I could show you guys how to do it too. In the video, I talk about how you can create a pixel if this is your first time. Then I walk you through exactly how you can set it up on your page (2 ways – either using Google Tag Manager or through FTP into your header file) and show you how to set up your first custom conversion. I highly recommend the first one you set up to be exactly how I do it in the video – everyone has (or should have) an opt in on their site and that’s likely one of your main focuses when you’re building engagement on your Fan Page. One note though .. in the video I mention that you have 25 custom conversions available. That’s wrong – it’s actually 20. So check it out below. If you have questions you can drop me a line, post a comment below, or ask me over on my Facebook Page.